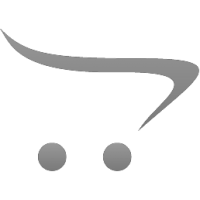 Hi Just wanted to let you know this is the best reloading website ive been to.I would recommend it to anyone Great products,great prices and Fantastic service.Gotta love that.I just cant stop coming back and i`m in Australia. ..
i bought the deluxe challenger press kit, the load master progressive press, and lots of accessories for them. i was trying to get the load master kit in 9mm but it showed out of stock. when i sent an email to see when they would have more i received a phone call within 30 minute.. FANTASTIC CUSTOMER SERVICE!! I bought an ergo prime and after loading about 50 .45acp the primers began to mis-align and flip when trying to seat them. I called Lee direct customer service, explained the problem and said it appeared there must be some defect and would they repl.. This popular kit from Lee Precision incudes the ergonomic Lee Pro 1000 progressive press, the appropriate Lee Carbide 3-Die set and matching Lee Shell Plate, Lee Pro Auto-Disk Powder Measure and Lee Case Feeder attachment with tubes. The Fully Automatic Lee Precision Pro 1000 3-hole Reloading Kit for the 9mm Luger produces a loaded cartridge with each pull of the lever. Primers, like powder, are fed only if a case is present. Alternate loading sequence lets you load one case at a time. Great kit for beginners. Can change calibers in minutes. Another feature is the ergonomic roller handle with all-steel linkage. Please note that the Pro Auto-Disk powder measure (included as part of the kit) will only work with Lee powder-through expanding dies. Warranty: Lee Precision 2 year Unconditional Guarantee. 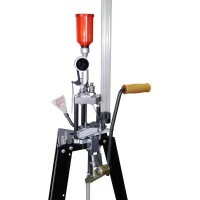 The Lee Reloading Stand shown in the photo is not itcluded. Only CCI or Remington brand primers are safe to use with this press. 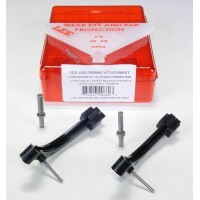 The Fully Automatic Lee Precision Pro 1000 3-hole Reloading Kit for the .38 Special and .357 Ma.. 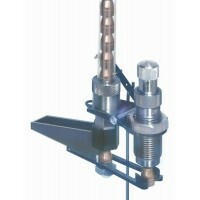 The Lee Precision Pro 1000 3-hole Reloading Kit for .32 Smith & Wesson (S&W) and .32 Harrington & Ri.. 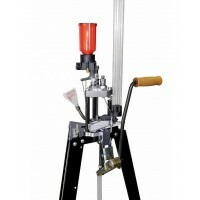 The Fully Automatic Lee Precision Pro 1000 3-hole Reloading Kit for the .44 Remington Magnum, ca.. 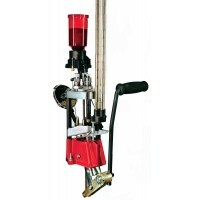 The Fully Automatic Lee Precision Pro 1000 3-hole Reloading Kit for the .223 Remington, can g.. The Fully Automatic Lee Precision Pro 1000 3-hole Reloading Kit for the .45 ACP (Automatic Co..
Lee Precision Pistol Bullet Seating Dies feature two crimp shoulders. The first shoulder applies a s.. The Lee Precision Adjustable Charge Bar is used in place of the Charge Disk on the Lee Precision Aut..
All Lee Precision Pro 1000 Presses come equipped to handle primers for the caliber, for which they.. The Lee Precision Bullet Feeder Kit automatically feeds 9mm-.365 (.65-75 long) bullets into the mo..